American fashion designer Jill Stuart has just released her 2015 makeup collection and we are left dazzled by the packaging and effects. There’s something very summery about the whole of the Jill Stuart summer 2015 makeup collection, from the cherry inspired coloring to the princess style designs. It certainly is a match for any bride looking to shine bright during her big day, with the presentation of each new piece looking like it came out of the royal cosmetics box. Jill Stuart may be 50 years old, but her penchant for the youthful designs certainly keeps her age from catching up with her. Operating since 1988, it was not until 1993 that her eponymous label was launched and she began to collect a significant amount of international clientele, particularly from Japan. A child prodigy in the fashion industry, Stuart sold her first collection to Bloomingdale’s back when she was just a 15-year-old teenager, having put together an interesting line of suede hobo bags, as well as silver and leather chokers. Today, Jill by Jill Stuart in Japan and Korea brings in over three times the revenue that can be found in the US, though stars such as Hilary Swank and Kate Bosworth are some of her many returning celebrity customers. 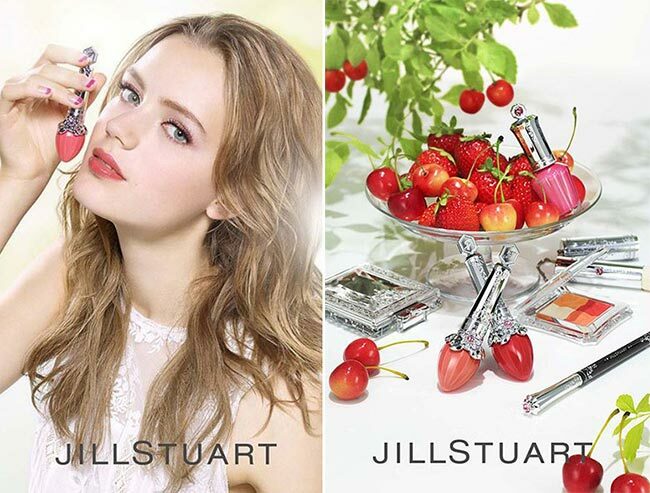 The Jill Stuart summer 2015 makeup collection will be released in Japan on April 17 and the juicy vivid colors are certainly so gorgeous we cannot help but covet them. We love fresh fruits, so when they are used as makeup inspiration, there is no way we would not fall in love with the whole of the collection. The lips gain a lot of love from the 8 Forever Juicy Oil Rouge pieces that come in a sweet pink Forbidden Apple, a vivid red Petit Raspberry, and a lovely milky orange known as Mango Swing. 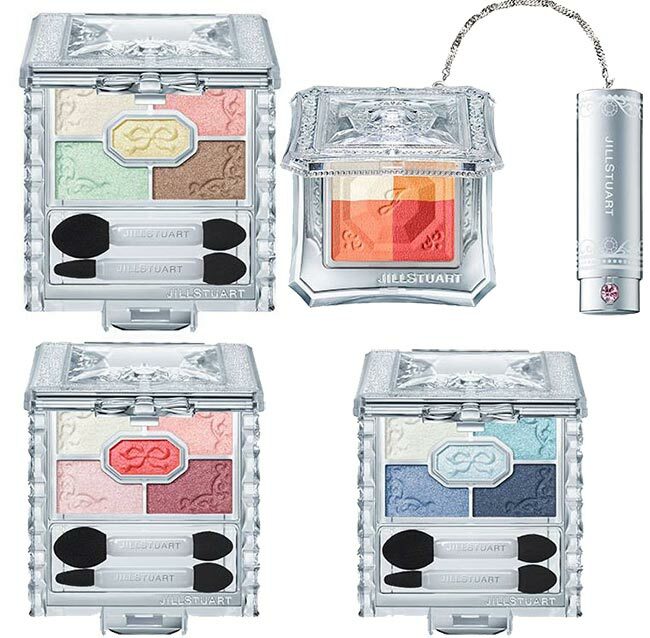 Each of the 8 lip colors available sell at about 2800 Japanese Yen, which translates roughly to about $23.50 USD. The colors are beautiful and the bottles they come in positively divine! The limited edition layer blush compact has one new variation and looks amazing with the peach, pink, golden and white powders pulled together to create the perfect hue. It will be available for 4500 Japanese Yen, the equivalent of about $38.00 USD. The box that it comes in looks like the type of compact the Princess of Wales would be carrying about in her purse. The eyeshadow cases come in 3 different variations, from number 06-08, out of which Gelato Cotton is a limited edition time sensitive item. The Indigo Tweed and Mixed Berry Crepe version of the Ribbon Couture Eyes cosmetics line will be around for much longer and will sell at 5000 Yen, the equivalent of $42.00 USD. 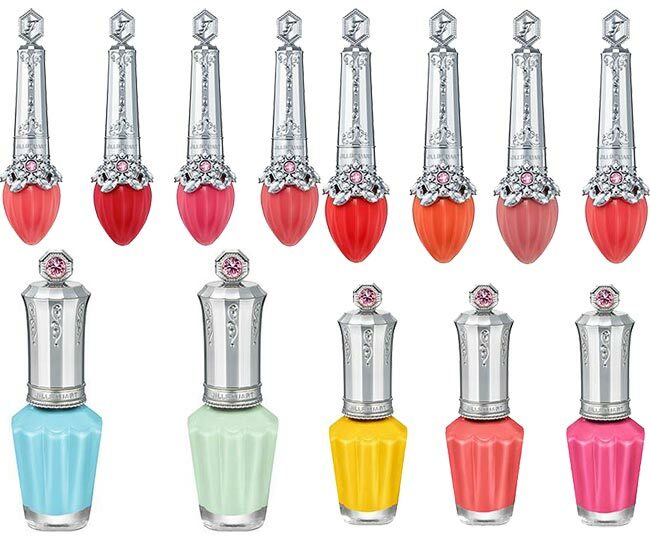 The gorgeous shades kind of remind us of a fairy tale remake wherein we get to play Cinderella or Sleeping Beauty. Nail Lacquer R is the name of the limited edition nail polish collection that includes 5 different shades, including a vivid yellow Pine Bouquet, a tropical red hue known as Guava Road, and a rather bright pink color that will look great for the spring and summer known as Grape Fountain. These are limited edition offerings that will be available for 1500 Yen, or about $12.50 USD. The sky blue looks especially intriguing. 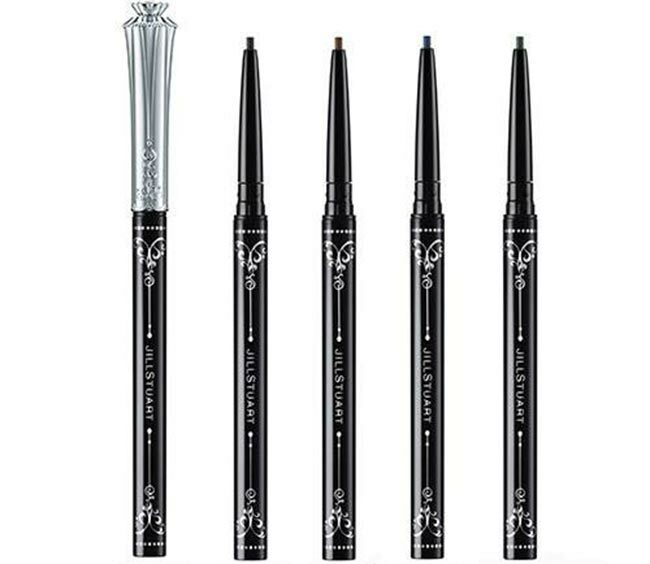 Finally, there are 4 shades to the eyeliner assortment, which are available in four different shades in a gorgeous case that is sure to be the envy of all the women around you. It will go for 2300 Yen, which converts to about $19.50 USD. The whole of the Jill Stuart summer 2015 makeup collection is certainly worth buying into, if only for the incredible way they have each been packaged to resemble succulent fruits and unique royal accessories.